Here is a great way to use leftover from my chuck roast recipe! You can really use any protein to enjoy this southwest salad! For the salad – Start with the romaine lettuce then add all of the ingredients in a large platter or salad bowl. 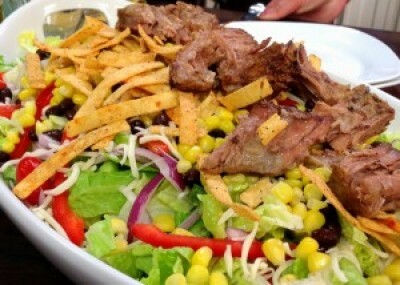 For the dressing – Whisk all of the ingredients together in a medium bowl and drizzle over salad!